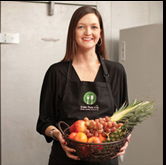 Speaker: Lisa Pounds, President and CEO,Green Plates Foods. Green Plate Foods was originally born from the idea that there had to be parents, who don't know how to provide their children with healthy, fresh and nutritious meals. If your child has a gluten or dairy allergy, or does not eat meat, the food choices are MUCH more limited. The mission of Green Plate Foods is simple: to provide healthy, non GMO, clean, tasty, affordable and convenient foods to our clients. After years of providing healthy lunches to some of Houston’s pickiest eaters at private schools, plus catering events and home delivery, Green Plate Foods is now 100% focused on making and distributing our popular meals and snacks through retail and wholesale channels. Green Plate Foods is committed to helping the environment and want to do all that they can to help preserve it for children and future generations. They are committed to being “green”. They choose ingredients that are natural, organic and locally sourced, when possible, to minimize damage to the environment as well as provide your child with the healthiest foods. Their packaging is selected based on what has the least impact on the environment, while preserving the freshness of their food. The smallest package possible is used to minimize waste. They try to use recyclable paper bags or boxes in lieu of plastic as much as possible. However, all of our plastic containers are recyclable and strongly encourage either reusing them within your household or recycle them yourselves. There are many creative ways to reuse plastic containers in your home, such as arts & crafts container for your kids or simply reusing for snacks and leftovers.